Ortega y Gasset Projects is pleased to announce When Geometry Smiles , a group exhibition curated by Eric Hibit. The opening reception is on Saturday March 3, 2018, 6-9pm. The exhibition runs until Sunday, April 8th. When Geometry Smiles presents the work of 12 artists who use geometry as a structural aspect of their work, while simultaneously exploring how structure opens doors to play and emotional levity. Eschewing rigidity, the artists in When Geometry Smiles create work that is potentially smile-inducing for its liveliness and lightness. 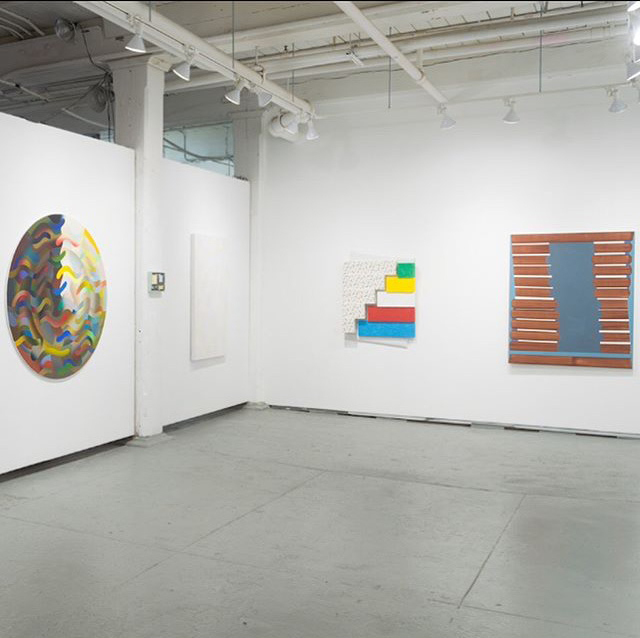 These artists explore geometry as an essential component in the quest for personal meaning via their choice of imagery, their tactile engagement with materials, or their painterly style. Many of the artists in the exhibition use fiber-based materials that, literally, soften geometry. This emphasis on paintings “fabric” leads to new associations with the world of the home. The desire to fuse the comforting domestic with the impartiality of geometry raises new ideas about the artist’s sense of themselves, their surrounds, and the world. 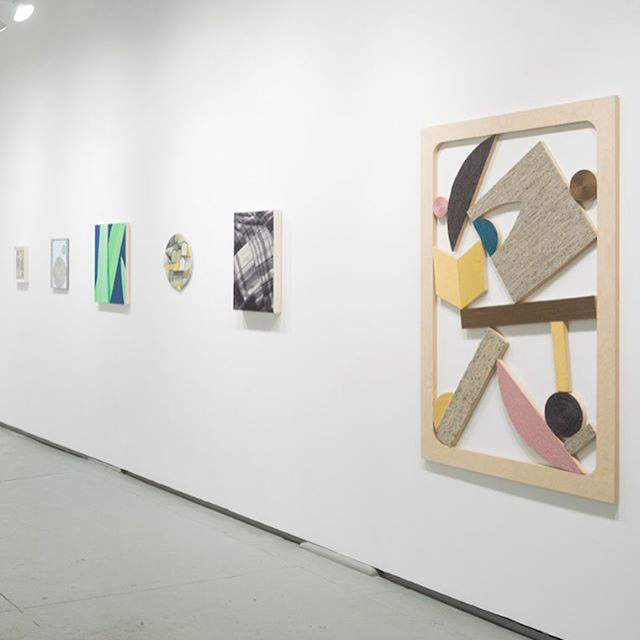 When Geometry Smiles includes work by Samantha Bittman, Chris Bogia, Corydon Cowansage, Leah Guadagnoli, Charlotte Hallberg, Fawn Krieger, Kerry Law, Gary Stephan, Anne Thompson, Nichole Van Beek, Paul Wackers, and B. Wurtz. 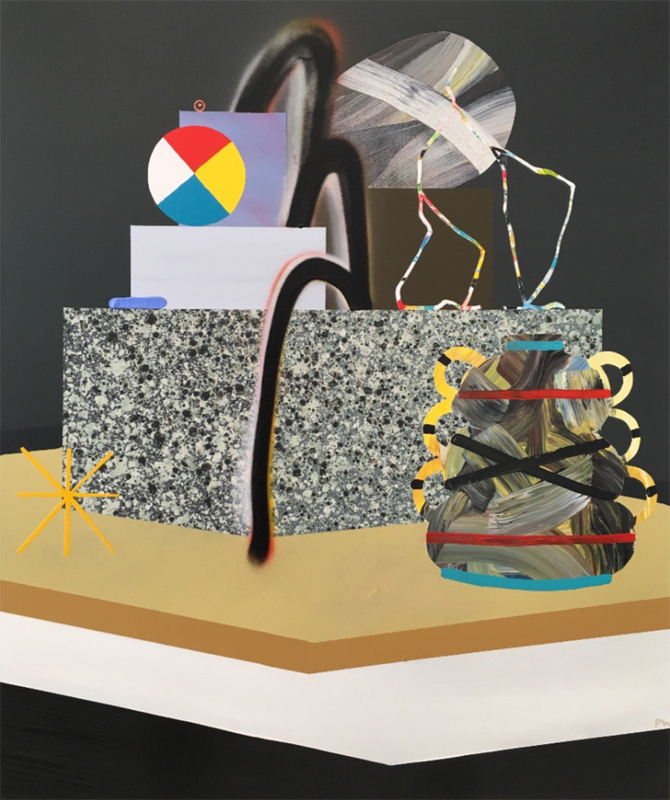 above: Paul Wackers, Path of Least Resistance, 2018, acrylic and spray paint on canvas, 36" x 30"